Laura and Ryan knew each other growing up, but didn't officially meet until Ryan put together a game of volleyball. 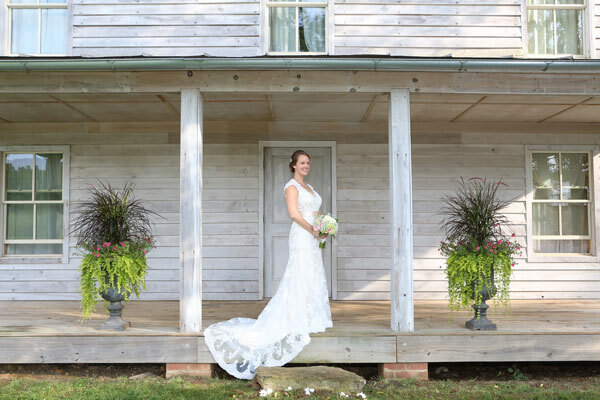 After they began dating, Ryan and Laura were walking on the property where they planned to build their home. Ryan then surprised Laura with a proposal that he also caught on video! Laura says her favorite part of the day was the actual ceremony. She and Ryan designed the service and had several close friends and family members play important roles. Ryan's nephew was the ringbearer; Laura's brother read an excerpt from "The Hobbit"; and one of her bridesmaids read an Irish wedding blessing. 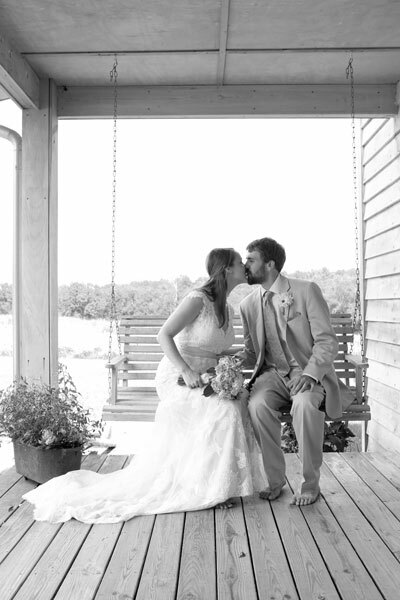 One of the big ways their wedding was unique was because their ceremony was the first one held on the front porch of the farmhouse at Selu Conservancy. 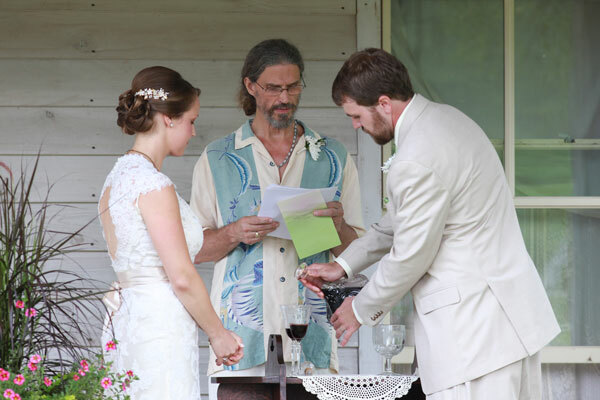 The couple also used wine in their unity ceremony, using family heirloom glasses and combining their wine into one goblet. Laura's color scheme of sage green, blush pink and ivory was used in many elements, including bouquets and centerpieces. Photo cards with a message from the newlyweds served as favors, while three separate cakes (chocolate, white with raspberry filling, and carrot) were provided as dessert. 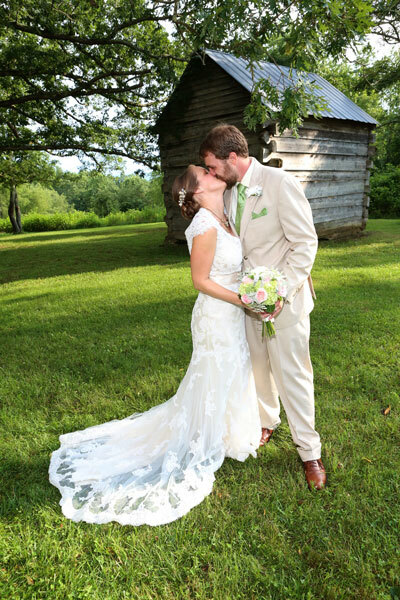 The couple celebrated with a Southern road trip honeymoon to Asheville, NC; Charleston, SC; St. Augustine, FL; and Savannah, GA. Laura says it was important to them to get away from planning and scheduling to fully enjoy the accomplishments and commitments they'd made to one another. 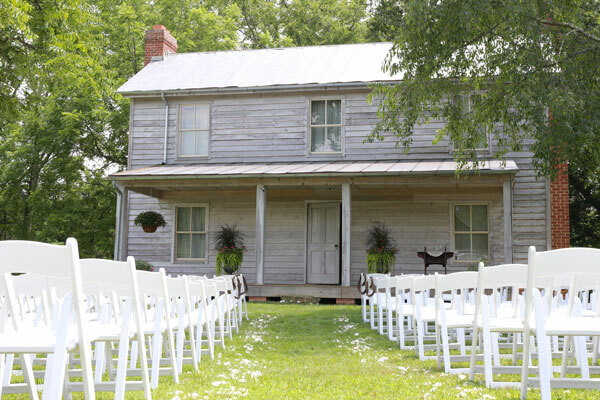 Be sure to see the Keaton wedding on page 66 of the second issue of bridebook, on newsstands now!